Healey Abbott Drophead Coupé is a two-door soft-top version of the Tickford Saloon. From approximately November 1951 onwards it is built on an F-type chassis. Na wystawie Earls Court w Londynie, zaprezentowano model Healey 100 na podzespołach Austina A90 Atlantic. Healey Motor Co. został przyjęty do BMC, a samochód ten będzie sprzedawany jako Austin Healey . 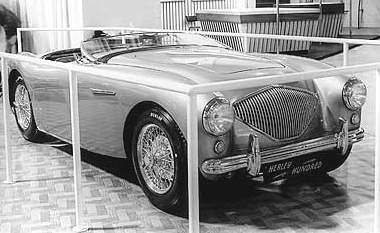 From 1952 Nash Healey, re-styled Pininfarina bodies and 140 bhp 4138cc engines. Healey 3-Litre Sports Convertible (Series G) with Alvis engine and gearbox have similar body styling to the earlier Nash-Healey Sports Roadster which was made for and sold on the export market during 1950-52. 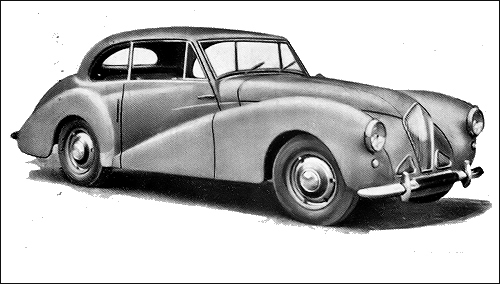 Popularly known as the Alvis-Healey, it has a two/three-seater Healey-built body with full weather equipment. The 2993-cc power unit develops 106 bhp at 4200 rpm. Only 25 were built. 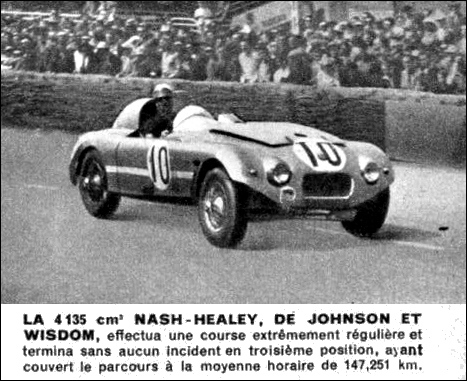 3rd at Le Mans: Nash-Healey (Leslie Johnson / Tommy Wisdom).